This summer, I am working with 350 Maine. I want to devote an entire blog post to this organization because it is an incredible all-volunteer group with very dedicated members. 1) 350 Maine does not focus exclusively on places where there are lots of people. They have local chapters across the state, providing opportunities for those who live in rural areas to get involved with climate activism. 2) 350 Maine is truly committed to building a grassroots movement. 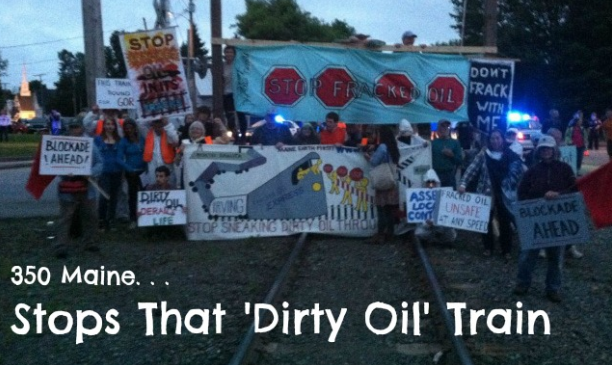 On June 27th, 350 Maine members worked with local community members and other allies in the state to blockade a train that was carrying fracked crude oil through Fairfield, ME. The action was extremely successful, making news across the state and the country. 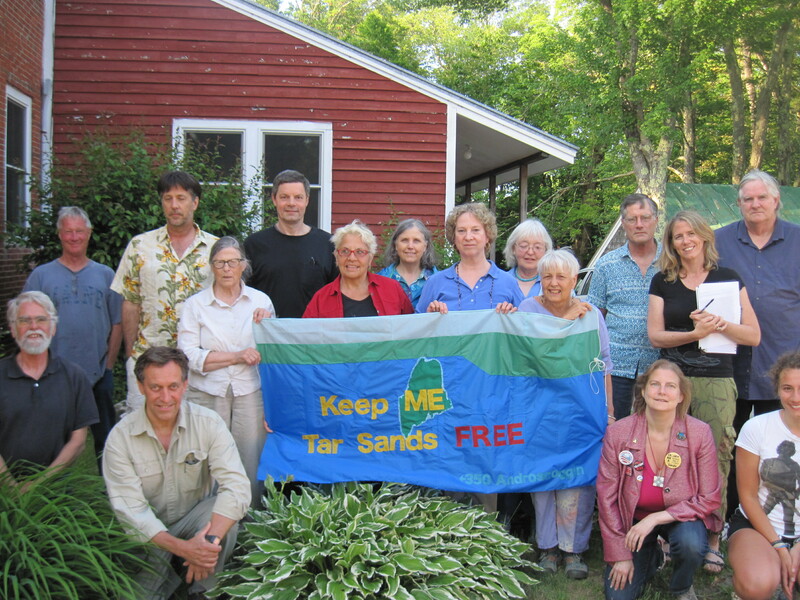 So, join 350 Maine in its efforts to build the Maine climate movement!